A few days back i published my second course at udemy. My first course was about Emmet a free plug in for text editors to write HTML and CSS quickly and easily. My second udemy course is about Bootstrap framework. Title of my course is Code A Magazine Style Responsive Website With Bootstrap. In this course you will learn how to create a fully responsive websites from scratch with Bootstrap framework. What is Bootstrap framework ? Bootstrap makes it very simple and easy to create websites that will work great on all small and large screen devices. Why your blog or websites should be mobile first? Today millions of people use small screen devices such as tablets, smartphones to access their favorite websites, blogs, to read reviews about their favorite gadgets and for shopping. You simply can not ignore all these internet users, you will have to optimize your blog and websites for small screen devices. is it difficult to create responsive websites? Bootstrap helps you to create fully responsive and mobile optimized websites from scratch very quickly and easily. You just need basic knowledge of HTML and CSS to use this powerful framework. 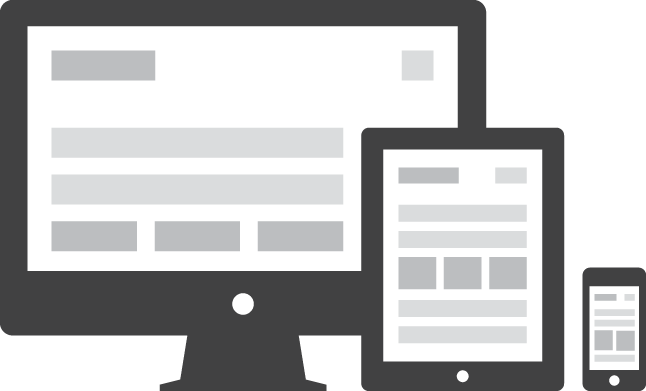 You can start building responsive websites yourself no need to hire any other designer or developer. Using bootstrap is very simple and easy. How to create fully responsive websites with Bootstrap ? Getting started with Bootstrap framework is simple and easy. With basic knowledge of HTML and CSS you can start using bootstrap framework. In my video course Code A Magazine Style Responsive Website With Bootstrap you will learn step by step how to start building fully responsive and mobile friendly websites with bootstrap framework. There are total 30 lectures in this video courses. In each lecture you will learn something about bootstrap and our final project. This course is not only for beginners, even advance users will also learn some new skills. Some of lectures are as following. Bootstrap 3 navigation examples and how to create Navigation menus with Navs, Tabs, and Pills style. how to use stacked navigation menu with Bootstrap ? how to use bootstrap nav tabs? how to implement bootstrap carousel ? how to create carousal from scratch ? how to add featured content with jumbotron element ? Start learning Bootstrap to master responsive web design ? Previous Previous post: Sublime Emmet Tutorial course 3500+ students in 6 months ?